We love Cool Sites! Submit Your Women's Bicycling Site Info and We Can Exchange! Don't forget a helemt. And get one that fits a women's smaller head size. 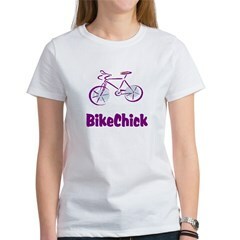 Women's Bicycling Links-We gathered some links that pertain to the women's side of this category. All you need is a bike. Simple, right? Not quite. Many articles about whether women should buy a women's bike. Then there's the matter about the seat. You need the extra padding of a women's seat. And, oh, don't forget a helmet! Looking to go "off road"? Check out our women's mountain biking links, too. Bay Area Women's Cycling-Bay Area California based group that wants more women to bike. BikeSutra.com-women's resource page, which includes a number of cool women's cycling message boards. Bike Diva-infomration for cycling enthusiasts. Cycle and Style-online women's cycling mag for women by women. Fly Gurlz- All-girls Canadian mountain bike team. Girls Gone Riding-women's cycling community. Jett Grrl- Bike repair workshops for women as a way of empowering people on their bikes. Luna Cycles-Custom women's bikes made in New Mexico by a really cool woman (yes, a woman) named Margo Conover. MTBChick- Nation wide (USA) women's mountain bike team that empowers women to achieve their goals, in mountain biking and in life. Northwest Women's Cycling- Committed to improving the quality of women's bike racing in the Pacific Northwest. See Jane Ride-women's bicycling tours in Pennsylvania. Sweet Pea Bicycles-Portland, OR based builder of custom bicycle frames for women. Team Estrogen- dedicated to meeting the needs of every woman who wants to ride her bike in comfort and style. Team Luna Chix-Bay Area Cycling for Women, Progressive Training in a fun and supportive environment. Team Speed Queen- uniting women's grassroots and elite cycling to create a better world! Terry Bicycles- the first and last name in women's cycling. Top Pro Cycling Women- Women's Cycling Worldwide. Velo Bella- Mission is to encourage women to get out and ride a bike, race a bike, and to eventually grow the pool of talent and have a bit of fun along the way. Velo News- the journal for competitive cycling. Women's Bike Talk-Guide and articles. Women's Cycling-your resource for cycling information that's tailored by women for women. Women's Mountain Biking and Tea Society- WOMBATS! Introduction to Cycling for Women- good links for beginners and above from Mother Nature. It gives out advice such as, Do You Need a Womens Bike, and good advice about that all important seat. Also check out a women's guide to getting started in road cycling. The League of American Bicyclists is the national sponsor of Bike Month. Working for a bicycle friendly America!